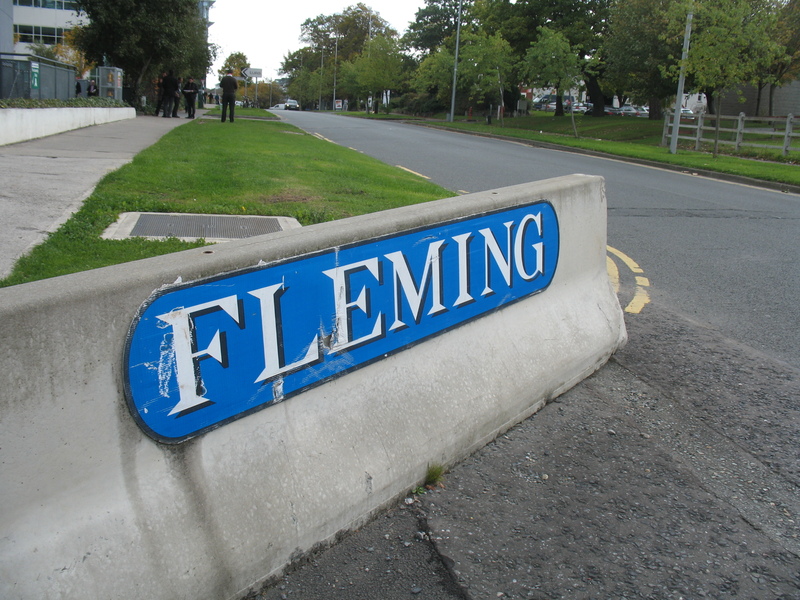 With a surname like Fleming, you probably guessed I have an Irish heritage. I was planning to make a visit to the motherland to see Imaginosity, the only children’s museum in the Republic of Ireland, during my Sabbatical. When Paul got a mid-term break, we decided to make a week of it. We had no idea what to expect and knew only the basics about the history of the country. 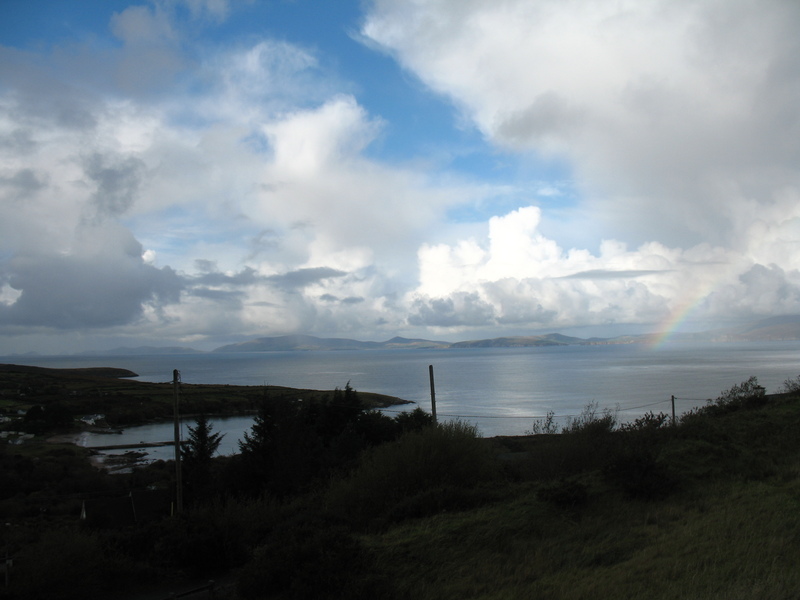 Six days later we left with a strong desire to learn more – and return. I couldn’t meet with Imaginosity until the end of our trip, so we had a few days to wander. It didn’t take long to learn that Ireland boasts four Nobel Prize winners in literature – William Butler Yeats, George Bernard Shaw, Samuel Beckett and Seamus Heany – there are monuments everywhere. And many other Irish writers have made significant contributions in poetry, fiction, and theatre – Jonathan Swift, James Joyce, Oscar Wilde, and Sean O’Casey to name a few. With that in mind, it seemed appropriate to begin our Irish journey with books and writers. After stopping by Trinity College Library to view the 9th Century manuscript ‘The Book of Kells’ – the oldest book I have ever seen – we crossed the River Liffey and headed off to the Dublin Writer’s Museum. Here we learned about the lives of Irish authors through exhibits of manuscripts, photographs, mementos and a nifty audio-phone guide. I was amazed to learn that the famed Abbey Theatre of Dublin was founded by writers (Yeats in particular) and how important it was to Ireland’s literary scene. I also learned that Jonathan Swift was not a children’s author but a clever satirist! Gulliver’s Travels is not a child’s book but rather a scathing send up of society. A must re-read for me! 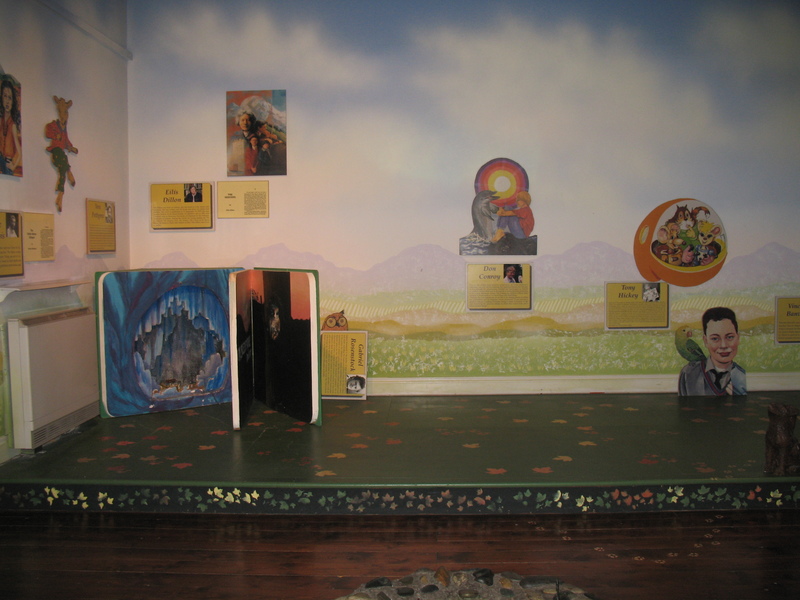 The second floor of the museum is dedicated to children’s book authors. 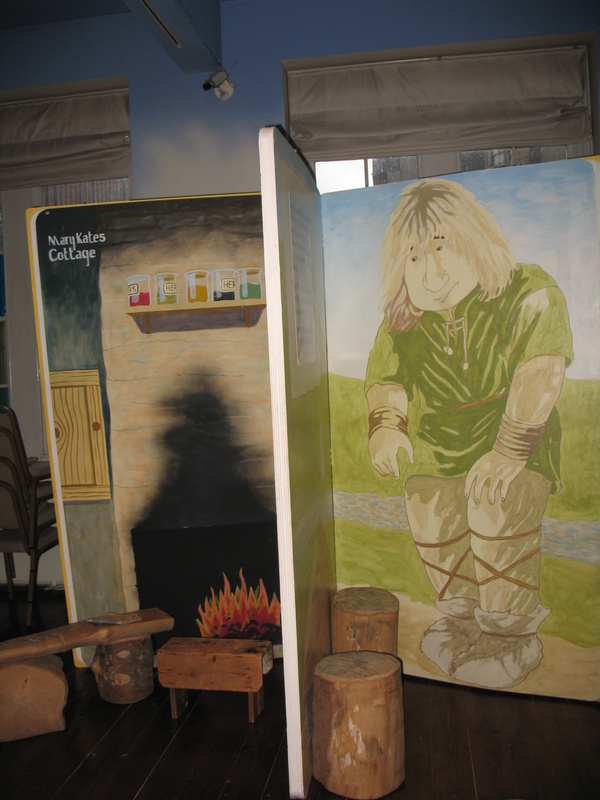 Several of the author’s books were made life-size so that children could physically, as well as imaginatively, enter into the pages of the book. There was also a stage with props to act out stories, and an area to sit and read. Photographs and biographies of the writers were posted along the walls at a child’s eye level. The children’s book room was simple, creative and imaginative – a place where a kid could feel comfortable to play or read. The Writers Museum was a short walk from the Abbey Theatre so we headed over to see if we could get tickets for a show. We got there in time to see the matinee performance of Sean O’Casey’s ‘Juno and the Paycock.’ It was a powerful production. The script is a classic, the acting was sublime and the production elements were stunning. Set in a Dublin tenement house in 1922, you could hear the beauty and humor of the language, feel the conflicted emotions of the characters, smell food cooking, see paint peeling off the walls and ceiling, and practically touch the dim light peeking through the broken windows. O’Casey was one of the few Irish writers to stay in Ireland. Many of them, we learned in the museum, left the country of their birth. Shaw lived in London most his life. Beckett not only left the country but wrote primarily in French. Wilde was forced out after a scandalous affair with a man. But Ireland proudly claims them all now, and clearly her influence left its mark on their voices. We returned to Dublin a few days later and I got to visit Imaginosity. I followed the excellent directions on their website from LUAS, Dublin’s subway system. After a five minute walk from the station – during which I found some of my ancestors (see photo at top) – I was there. 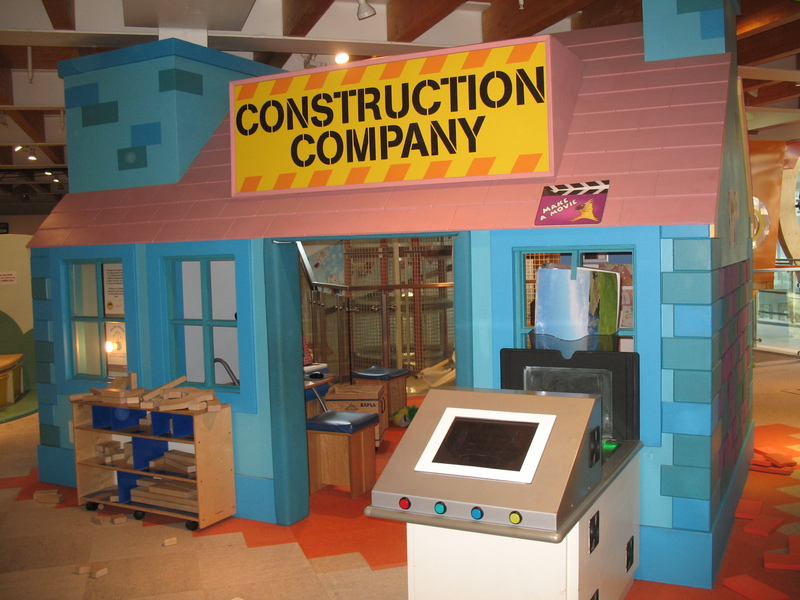 Located in a shopping center, Imaginosity has two levels of exhibits. Their delightful General Manager Jenny Bohan took me on a tour. On Level One there is a Garage, Bank, Doctor’s Office, Post Office, Market and Diner. The Market and Diner were the most popular exhibits, with children shopping for dinner then cooking it up and serving it to their parents. There is even an interactive video game around food for kids to play. As they move through the game they speed up or slow down depending on the food they choose to eat along the way. On Level Two, the choices expand. 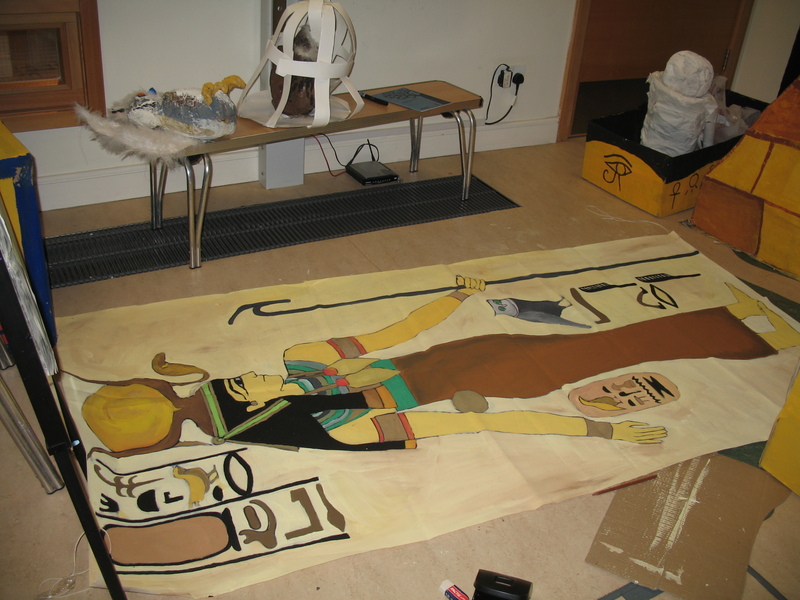 There is a Stage with costumes, set pieces and basic lighting and sound equipment so children can create their own stories. Next to it is a News Desk where they can report the news and weather. A Construction Zone allows young engineers to test their skills. 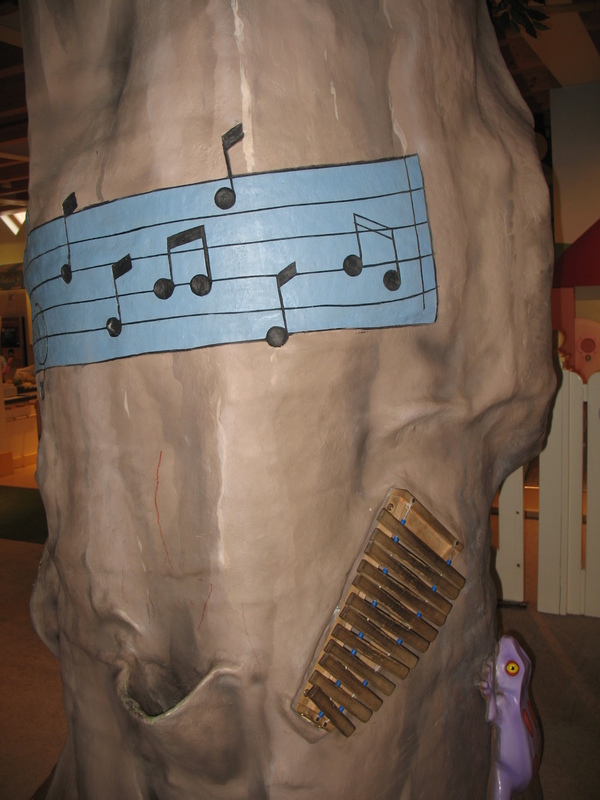 A Music Tree lets kids play a variety of instruments. And the big star is a real live car – a slick Audi – that kids can drive and navigate – on the roads of a video monitor that is. Each level also has an area for under-twos and reading areas. Connecting each level is a cool Climbing Structure. Only four years old, the museum already receives 90,000 visitors a year. Its staff of 20 (full and part time employees) wear many hats. When I was there I saw them conducting birthday parties, building sets for their Halloween celebration (an Egyptian theme this year), monitoring and cleaning play areas, helping kids with arts and crafts, leading a workshop, finding lost children, and checking people in at the entryway. And that was the work I could see. Behind the scenes they were booking school tours, maintaining member databases, planning events, updating their website and social media, creating marketing strategies, and finding funding to make it all happen. It sounded familiar! Jenny and I talked shop about the strengths and challenges of our organizations, the education systems in our countries, and sources of funding. 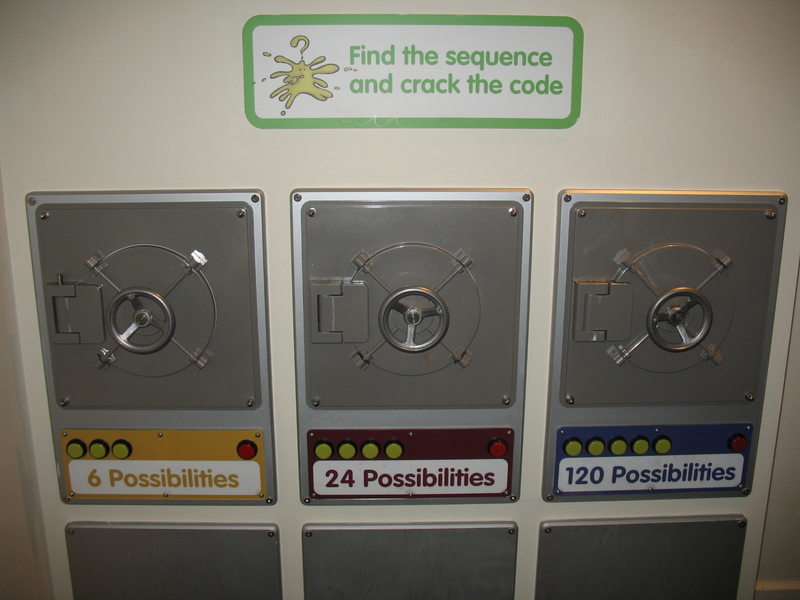 Being the only children’s museum in Ireland makes Imaginosity unique, and so does its focus on interactive play between parents and their children. A young organization, its challenges lie in building its audience and brand so it can increase its revenue and programs. A lot of fundraising happened in order to build the museum, but since opening their doors they have been able to earn the great majority of their revenue through admissions. Now they are looking to diversify revenue streams by re-establishing their fundraising efforts. After seeing the spectrum of programs they offer I am sure they will find a pot of gold at the end. 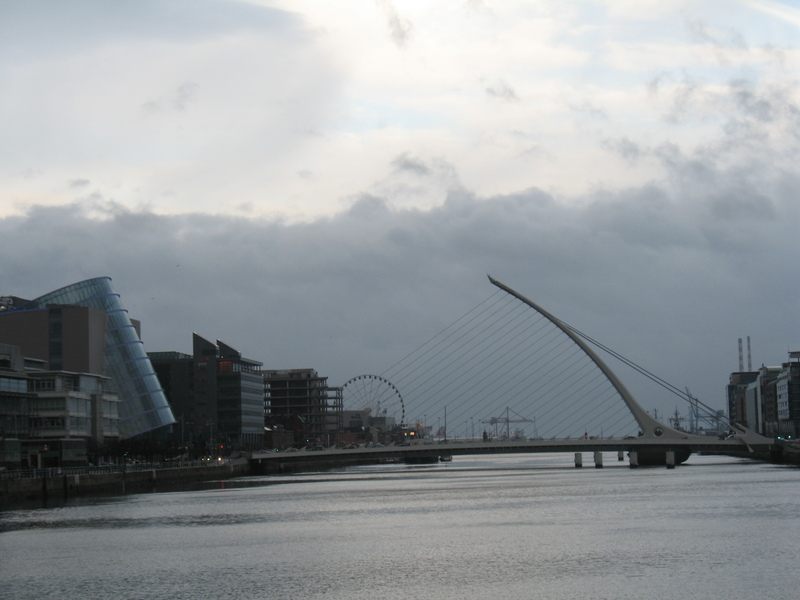 After my visit I walked back to the LUAS, and said goodbye to my ancestors along the way. A few hours later I was on the plane back to London. Looking out the window as we were preparing to land, I saw colorful flashes of light in random parts of the city. It took me awhile to figure out that it was fireworks! People were getting an early start to the celebration of Guy Fawkes Day, which is tomorrow. Guess what you’ll be hearing about next! I read a bit of that at the museum – biting indeed! I joined the library here so will add it to my reading list.